Since the late 1990s the idea of social enterprise – broadly speaking businesses that trade for a social purpose –has received considerable academic and policy attention. It is probably fair to say that opinions are polarised. On the one hand we have those who see social enterprise as a new paradigm whereby localised civil society responses to social problems achieve financial sustainability through economic activity and regenerate and reinvigorate communities. Alternatively critics, particularly from the left, see social enterprise as an extension of a neoliberal paradigm whereby policies to extend market discipline and competition have been extended throughout society, and responsibility for welfare provision moves from state to communities. In a recent article in Policy & Politics entitled Neoliberalism by stealth? 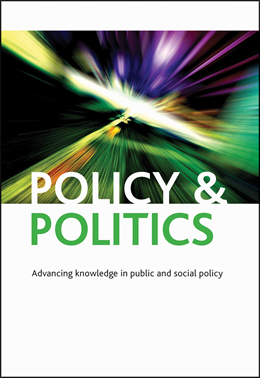 Exploring continuity and change within the UK social enterprise policy paradigm, we developed recent work on policy paradigms (broadly speaking a coherent set of ideas and norms that specify policy goals, instruments and problems). We engaged with the work of Thomas Kuhn, famous for popularising the concept of ‘paradigm shift’ and changing the way we think about science, from the natural accumulation of knowledge towards a model characterised by ‘scientific revolutions’ whereby ‘old’ knowledge is totally replaced by ‘new’ ways of thinking. In particular we looked at Kuhn’s lesser known work explaining how scientific paradigms fit together. This led us to theorise that in policy worlds, an overarching macro political-economic paradigm (such as the neoliberal paradigm that emerged in the 1970s) structures and constrains meso- paradigms (such as Welfare, Economic, Defence and so on). Sub-nested within these meso-paradigms are micro-policy paradigms. Here an example is the social enterprise paradigm, which is the primary focus of the paper. This helps us see how policy areas are inter-related, and interdependent. Broadly speaking, the ideas inherent in any policy area must be consistent with those in the macro paradigm otherwise the overall paradigmatic framework would not be coherent. It would thus seem implausible that a defence or welfare paradigm could shift and remain inconsistent with neo-liberal thinking for any significant period of time. This hints at the rarity of paradigm shift in any policy area – as this would imply communities of actors across different policy areas all undergoing a transformation such that they no longer accept previously taken for granted assumptions. To ‘test’ our model, we applied Daigneault’s framework to understand change in policy paradigms to a wide range of United Kingdom social enterprise policy documents and speeches from 1999-2012 in order to understand changes within, or shifts between policy paradigms. Our case analysis showed fairly significant change from New Labour to Coalition governments in the normative ideas used to justify policies. However the actual policies demonstrated remarkable continuity. Thus these ideational changes were simply an accommodation of normative differences between political parties within a coherent overall paradigmatic framework. Social enterprise policy under New Labour could be seen to offer an example of the process of ‘liberalization by stealth’ to reduce the perception of overt marketization or privatisation of the traditional welfare state. The drive towards welfare liberalisation, which accelerated under the Coalition government, simply adapted to the new – but related – logics of the Big Society. This shows us how policy paradigms such as neoliberalism are both more malleable than previously considered, and consequently, have greater longevity by virtue of their ability to adapt to shifting institutional environments. An excellent paper coming at the right time.